Hayama, which is located in Kanagawa prefecture, is known as a resort site by the ocean for a long time. 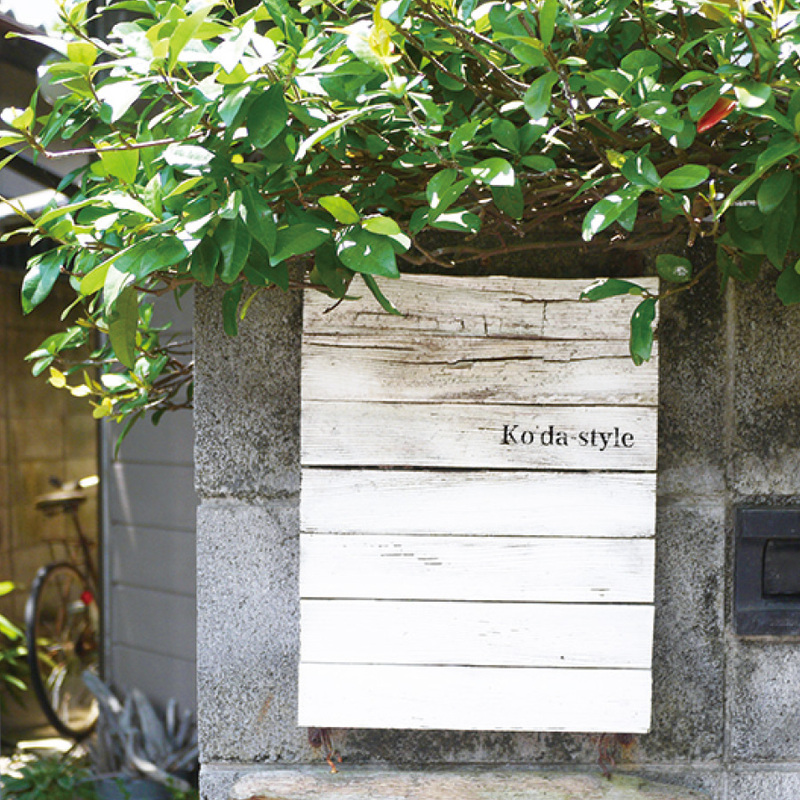 In Hayama, there is the Morito Beach that has a gentle feeling of waves and sand, and in a back alley that is few minutes away from the beach, there is Mr. Koda’s workshop. 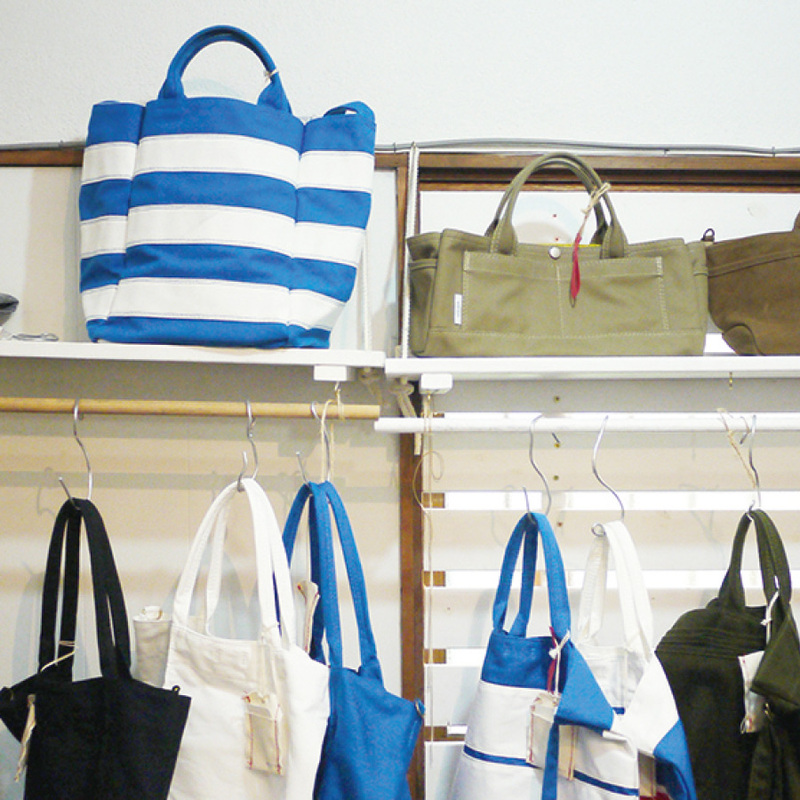 Mr. Koda runs a brand known as “Ko’da-style,” that makes bags made of sailcloth. 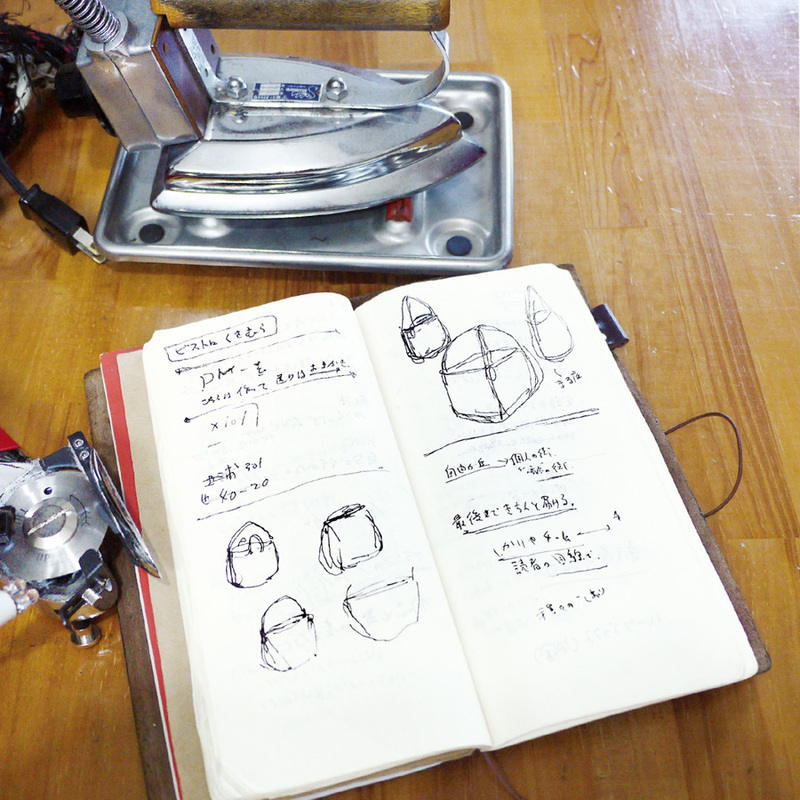 In the workshop, Mr. Koda does everything from designing the bag, making, and actually sending the finished products. For that reason, it takes a few months to receive the finished product from ordering. But on the positive side, that allows people to customize the bag by choosing the stitch and color of the cloth and even changing the length of the handle. The bag can be ordered online, but it’s actually nice to meet Mr. Koda in person and place an order by having a discussion on the specification. 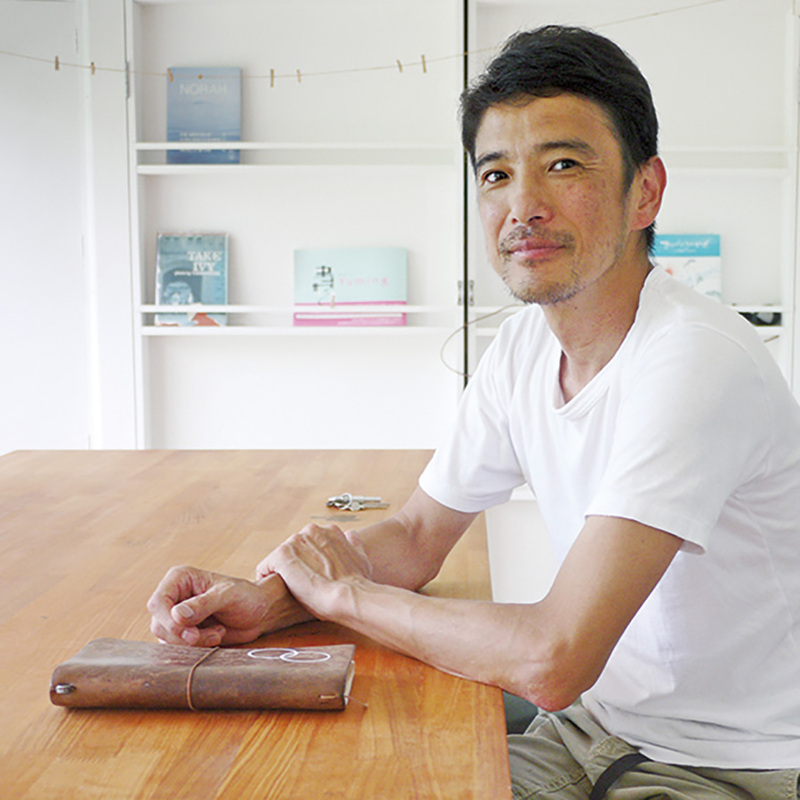 The workshop in Hayama is opened as a shop few days each month, and Mr. Koda even travels to café and shops around Japan and hosts exhibition events regularly. The order is placed through communicating with the creator, and once the order is placed, people will imagine how the bag is being made till it gets shipped. In a world where speed and efficiency is valued, this way of doing business takes too many time and effort, but this allows us to realize the joy of actually purchasing and using products. This experience is difficult to acquire in other places. It was eight years ago when Mr. Koda met TRAVELER’S notebook. The simple appearance made him feel that there is a margin to express the color of the user. The bag he creates also values this feeling of margin, and that made him start using the notebook. 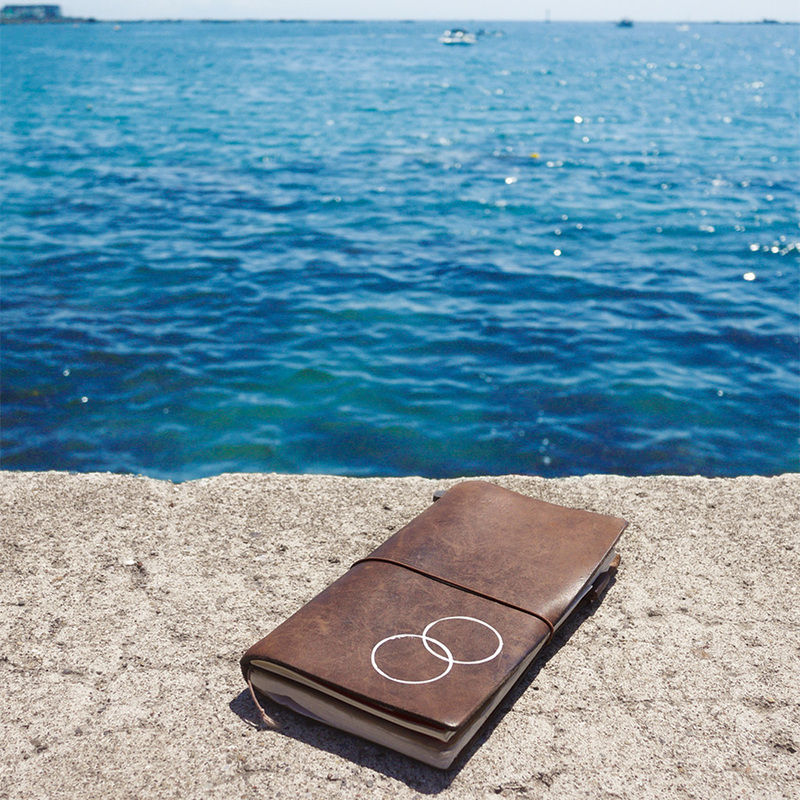 In his TRAVELER’S notebook, records of past meetings, ideas, and sketches of bags are inscribed randomly. He tries to carry the notebook at all times and writes anything down, but to be honest, he doesn’t really look back the past things he wrote. 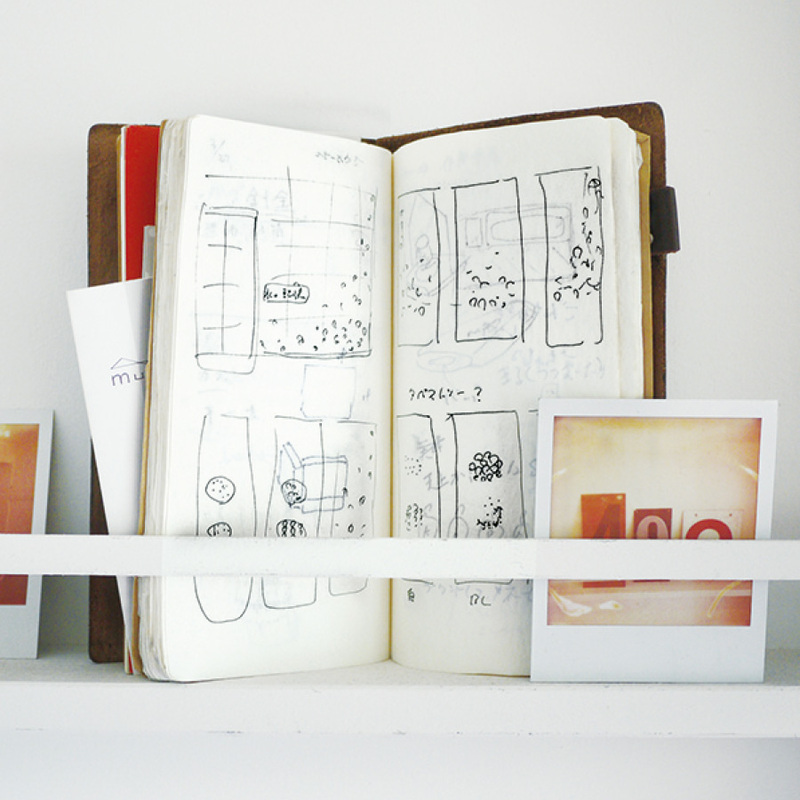 By writing it down on the notebook, the records get organized, and this organized records gets filtered through the head and remain as a memory. “What really matters in the end is whether the memory nurtured in my head actually links to the output I create. In order to do so, writing it down on the notebook is really important,” says Mr. Koda. Mr. Koda embraces intuition and images in the bag he creates, and the origin of his idea is also unique. For example, there is a bag called MOUE that he created. This bag has a squeeze in the center, and this is coming from a picture book that has an image of a grimace that a little girl from a foreign country made. Also, the handle of the bag he makes has an adequate amount of puff on the part where the palm touches, making it easy to carry. This is coming from his wish where he wants people to carry the bag like holding a hand with the person who they love. In the end, Mr. Koda told us the following. The two wheels drawn on the cover of TRAVELER’S notebook is a new symbol for Ko’da-style coming from his belief written above. This symbol is made using foundations for acrylic paint, and stamping it using a lid of spice. This customize reflects Mr. Koda’s character that values the feeling of margin. Born in Saitama prefecture in 1966. An Aquarian with blood type B. 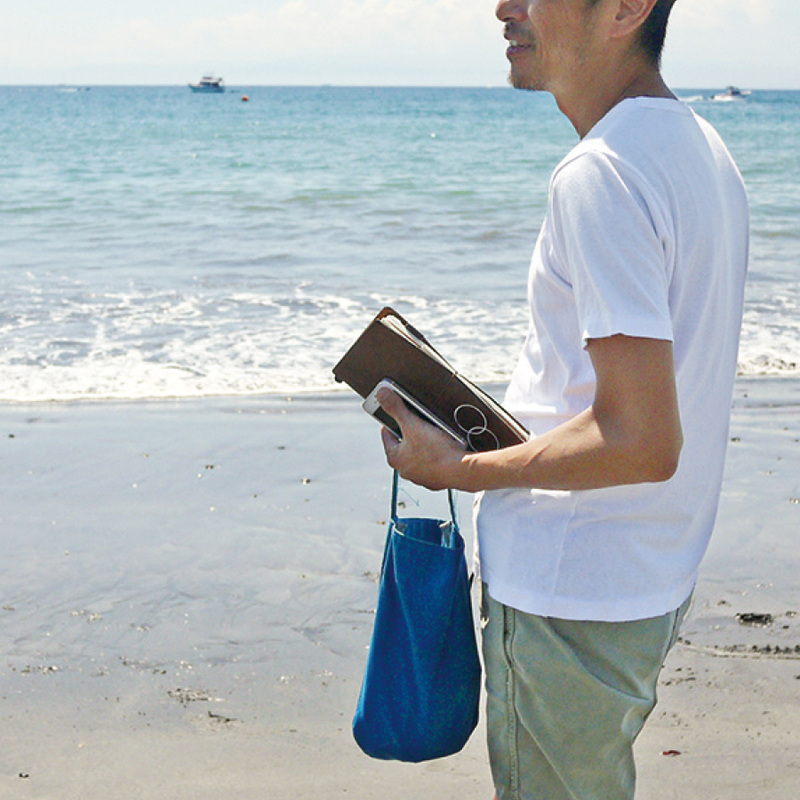 After working as a business man for ten years, he learned the techniques of bag making on his own, and started a sailcloth bag brand Ko’da-style. 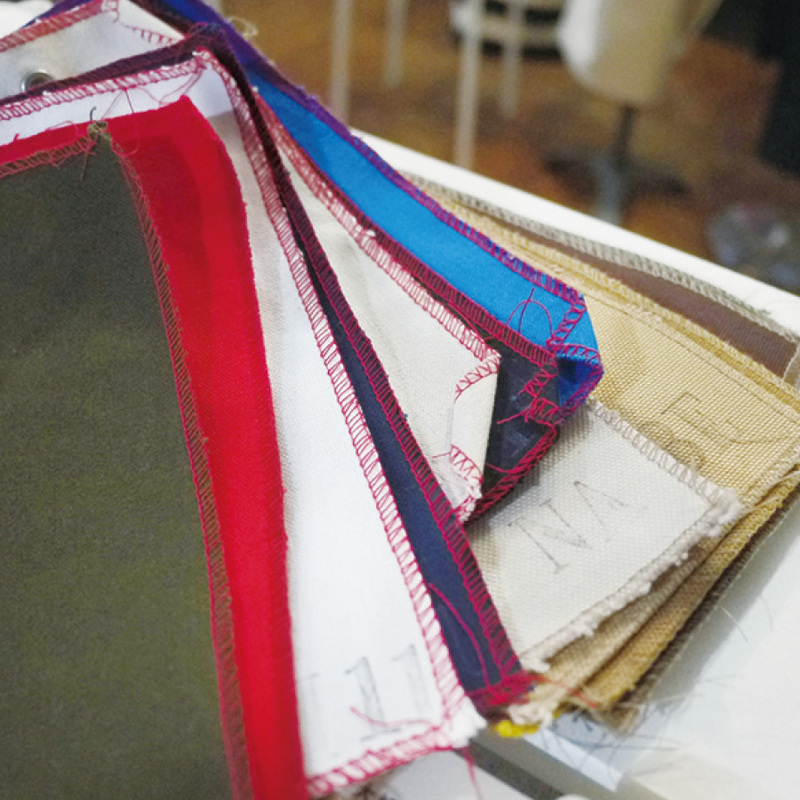 His bag making style is based on discussions with the customer that ranges from the select of design, color of the cloth and stitch, and the length of the handle. 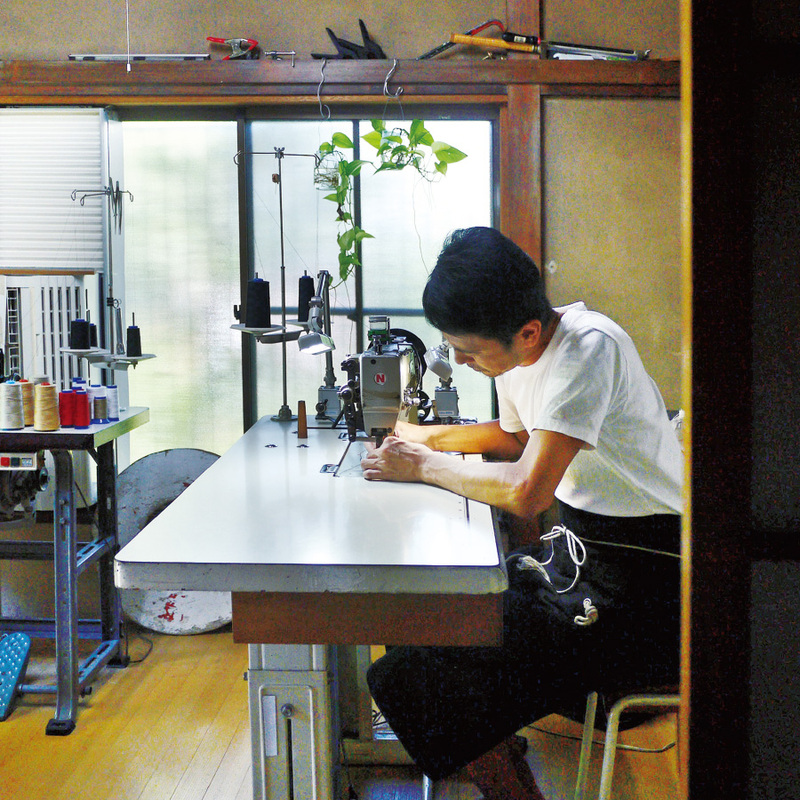 In the workshop in Hayama, he has a policy of “making in the back and selling it in the front,” and opens the workshop for three days in the weekend as an atelier shop. He also travels around to host exhibitions. On the end of September 2016, he had his individual exhibition “Mizu-no-kioku” at “Kumu-Tokyo.” He also published his first book Ko’da-style’s Tote Bag.